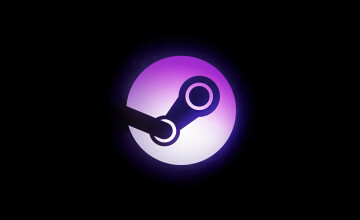 This is an early access game and is not in a complete state, features described here may be subject to change. 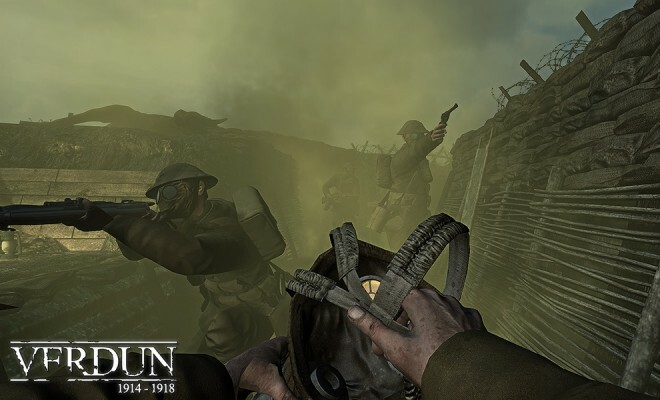 Full disclosure: this isn’t my first experience with Verdun, the WW1 Multiplayer FPS from M2H and Blackmill. 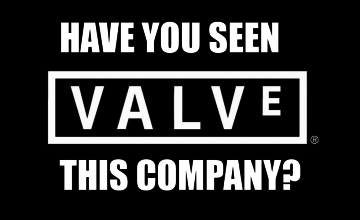 I first picked it up in alpha stages in early 2014, a few months after it was released on Steam. I found the concept intriguing, something fresh compared to the ever common, modern military shooter. But after a few matches, for whatever reason, it soon was moved back into my Steam library, much like many other Steam sale purchases. But, on January 15th, after hearing that the game had a complete engine upgrade to the Unity5 engine I decided to give it another shot. While this game is still in beta, it’s defiantly worth a look if you have an interest in the FPS genre or WW1 history. 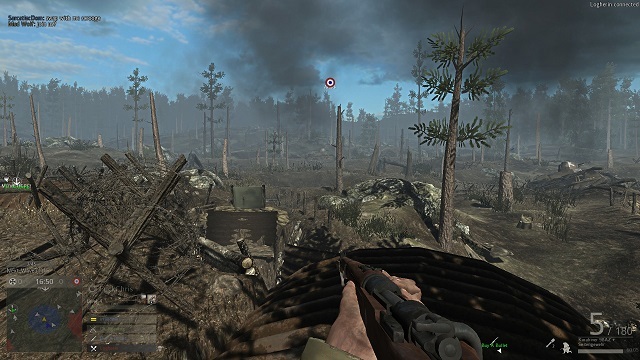 Billed as a “game [that] includes historically accurate features such as realistic WW1 weaponry, historical maps based on sectors of the Western front and authentic uniforms and equipment,” Verdun puts you in the trenches as either the Entente or Central Powers. 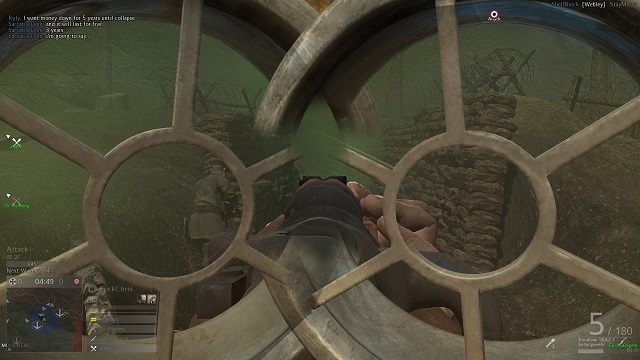 While there is a deathmatch game mode available, I spent most of my time playing “Frontlines” where 4 squads of 4 vie for control of a series of trench lines. Each team alternates attacking and defending trench lines and scores a point for the team by taking an enemy trench. Squad classes are divided up by specialties like the squad leader who has the ability to call in mortars and gas attacks, or the sharpshooter who unlocks better rifles and scopes. One of the first things that you notice when jumping in is that it’s very easy to die, especially if you stick you head up out of the trench at the wrong time. Bolt action rifles are one hit kills at any range, and you’ll most likely be spawning with a pistol at the start. Luckily you’ll be equipped with a gas mask which will save you from a slow, gasping death but severely limits your vision and accuracy. I found myself running into the gas, mask on of course, to get a jump on longer ranged enemies. Once you start ranking up and get a rifle and a few grenades, ducking from crater to crater across no-man’s-land and assaulting an enemy trench becomes immensely satisfying. The difficulty of pulling off an attack makes an actually successful attack all the more satisfying. Machine guns are rare, and are only available to one squad member and only after ranking up. Fortunately they are not as overpowered as I had initially worried and can be taken out by a skilled grenade throw. Keeping in mind that Verdun is technically still in beta, the game isn’t without its issues. Hit detection can be a bit spotty at times with no clear indicator of where your shots are landing, or how far you’re missing by. Sights take a fair amount of practice to get used to, and even then there’s no guarantee of a kill. Again, I hope that this is something that will be addressed in the final release of the game. Also, allied grenades are pink once thrown. There are a few features I feel would add to the setting and make the game more immersive. Destructible environments, whether from mortar attacks or artillery strikes altering the battlefield to open up new avenues to attack would greatly shift the dynamics of the game. Also, tanks would be a game changer. Giving attackers mobile cover while they advance across no man’s land would really shift the kinds of gameplay and provide a more dynamic experience overall in my opinion. In a sea of modern shooters, Verdun is a refreshing change. While not without its faults, it’s come a long way since its launch on early access in September 2013. With the addition of the Unity5 engine, the game plays and looks better than it ever has and I’m excited to see what changes that M2H and Blackmill implement for release (currently slated for February 2015). Find out more about Verdun at their website and check out their page on Steam. 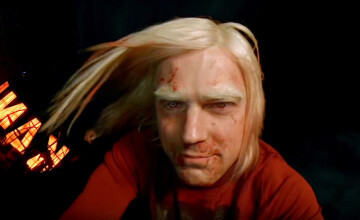 The game is 22.99 USD for the Early Access at time of writing.